27th Interesting article on using the 1DC for stills photography – grabbing frames for that perfect moment [UF] and another interesting technology with Toshiba’s version of a lightfield camera [ISW]. Have you noticed how the ‘news’ on many rumour sites at the moment seems to be the latest ‘deal’ for camera equipment? Well, the truth is that the number of reliable (or even half reliable) rumours relating to Canon equipment has massively dried up over the last year or two. I run the rumour section of this site in my spare time and I note that the amount of time I’ve needed to keep up to date with things has declined. I have re-jigged some of the ads and links on the page – but I’ll try and keep them relatively inconspicuous – A big thank you to every one who looked at an ad or bought anything through the various links. The ads are what have enabled me to expand Northlight’s commercial photography business and buy new equipment (and helped buffer against recent economic fluctuations in the kinds of work I do). Although I want to increase the frequency of new articles and reviews on the site I’ll certainly be keeping the rumours pages going during 2013, when I expect we’ll see Canon make a move onwards from what has been their standard APS-C 18 MP sensor in several updates. The 2009 vintage, Digic 4 powered, 7D is definitely showing its age. The CES show is from January 8th to the 11th this year, but remember that it’s consumer electronics, so usually more giant TV sets than high end cameras. 24th Canon Japan move the 5D2 to the ‘discontinued’ list. 23rd Reports that 60D stocks are low and difficult to find [CR] No signs yet of a replacement. 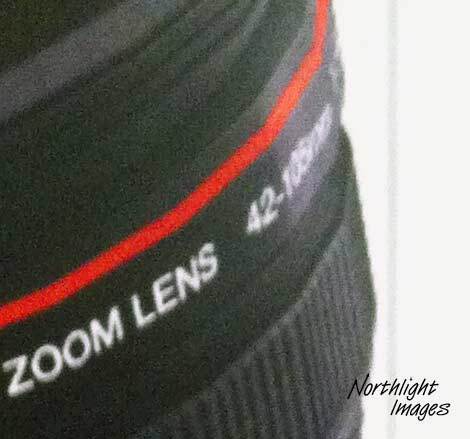 This was found in a Canon brochure, inside a German photo magazine – love the 42mm lens (see the header on our lens rumours page) – thanks for sending it. 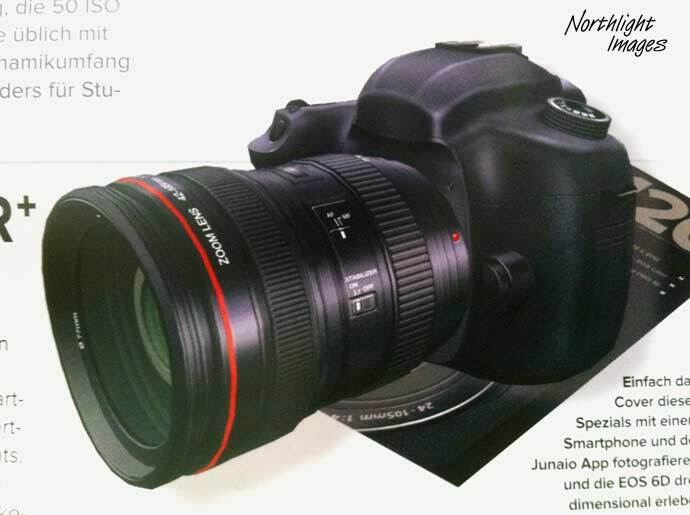 Rather slack photoshop and 3D modelling work – this was in a Canon brochure too! 17th All the main manufacturers are looking for the next big thing in sensor technology, and ‘foveon type’ sensors have appeared here regularly over the years. There’s a new one from Sony (Google xlt from EG) – any appearance in a shipping camera is probably some time off though. 15th CPN articles about the new Canon flash systems and what you can do with them. 11th An interesting viewfinder patent from Canon (Google xlt from EG). It’s an optical viewfinder that allows 100% coverage, but incorporates alignment adjustment that enables reduced size. I’m not sure of the details in the translation, and patents are often written to obscure important details ;-) Possibly for an even smaller DSLR, raher than the EOS M (which doesn’t really have the space for a reflex mirror). 22nd I’ve just finished a detailed Canon PRO-1 printer review. There is a suggested ‘Canon Roadmap’ doing the rounds [CR], which I was sent via a circuitous route, suggesting that it’s just a rehash of what’s at CR. 7th I forgot to mention, that along with the new 24-70/4 and 35/2 lenses, comes a whole new set of lens caps – a ‘centre pinch’ design. The re-designed lens caps will start to be rolled out across Canon’s entire EF lens range from the beginning of January 2013, and will also be available to buy separately. 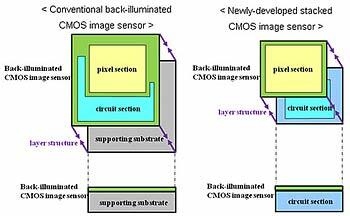 25th A very interesting article at Chipworks, analysing sensor developments – in this instance Canon and full frame. It seems that Canon is still using a 0.5um process for their sensor chips – in fact, every Canon FF chip looked at has used 0.5um. This is the width of the smallest design feature used in the chip design. To many people 0.5um is incredibly small, but in the world of chip making, this is ancient history. 0.5um rules are 1995 vintage – the latest processor chips are down to 32nm or 0.032um (and will be smaller next year) Sensor chips may not need 32nm design rules, but 500nm restricts what you can do. This table (from chipworks) shows where the competition are. It suggests that Canon’s choice of 18MP for the 1Dx and a ceiling around 22MP may be due to design rule limitations and what they can produce at economic yields for full frame sensor chips. It’s noted that Canon does have 0.18um chip maunfacturing processes. Updated – see part 3 of the article for more info and a look at future developments. 16th – Our site was hacked overnight – sorry for any inconvenience. Meanwhile, Canon announces a service advisory for the WFT-E7A [Canon] Seems that it used the same defective rubber as found on some 650D models. Only certain WFT-E7A wireless file transmitter units produced between April 9 and July 13, 2012 are affected. If the first two digits of the serial number are “03” through “06” and the fifth digit is “1”, the unit is affected. One thing that I noted was the suggestion that the 1Ds3 had hit the ‘sweet spot’ for sensors 5 years ago. As an aside to this I note the interesting comparison between 5D3 and 1D X colour noise at 25600 ISO [CR] and that Nikon’s D600 sensor (24MP) comes in 3rd in the all time best list, below the two 36MP D800 models. Where does this leave Canon sensor technology – how long will my 1Ds3 remain my No1 camera for work ;-) – see also some interesting 3D news we were just sent. 5th Reports of low stocks of the 5D mk2 – time for a new model in October? [the 6D, but that won’t be around until Christmas]. 24th Canon Japan announce their new large format printers 24″ to 60″ – US/EU announcements are slated for 12th Sept.
14th Canon interview about the EOS system. Details of Canon US camera rebates (open images in new window to see at full size). The EOS M is firmly aimed at the ‘enthusiast’ market, and we’re told that a higher end model won’t be along this year. 11th I’m told that the 8300/6300 printer replacements will indeed be announced soon, but I’ve still not seen actual details for what will appear on the 23rd. For a side bet look to some other lenses to go with the mirrorless, and we’re still waiting for an update to the aging Canon iPF5100 A2 printer. It should be available later this year, but whether it gets an announcement now, or later (in time for Photokina) depends on which bit of Canon is organising things ;-) The Canon Pro-1 was considered the start of the new printer range, but production was seriously hit by events in Thailand (and to a lesser extent for printers, Japan) last year, with supplies still not plentiful. The larger (newer) x300 range of Canon printers (iPF6300 – iPF8300) are still doing well, and may not be included in any new range – initially. More about printers at our Canon printer rumours page. 26th Now for one from leftfield that I was told personally, yesterday. The suggestion was that Canon and Nikon are doing some patent swapping and that in return for various Nikon patent licenses, Nikon are going to produce an EF mount camera. I’m afraid that this one sounds straight from the wishlist factory – I’d love to be able to use my TS-E17, TS-E24 and EF8-15 on a D800E, but I just don’t see it happening any time soon. 7th No signs yet of any imminent announcements – we were told to expect a 600D replacement and maybe a lens this month, but still no good info. BTW Now it’s on show, I’ve written up a ‘How to’ article covering the making of the 50 foot ‘city view at dusk’ print, that’s the focal point of my current exhibition. 25th Rumours have been quite thin on the ground after the 5D3 announcement, although we’ve recently heard more of an upcoming 650D announcement. In some ways I’m glad it’s been a bit slow of late, whilst I’ve been working on the images and prints for a big upcoming exhibition – I’ve now got the main 14 metre long panoramic print finished and rolled up in a box. 24th A bit of an antidote to some of the uninformed claptrap you read on forums about testing cameras. Good article from CNET about DxO and the real businss of performance measurement. I should note that I’m a long time user of DxO Optics pro [latest review] for some of my work and am one of their ‘Image Masters‘ – I’ve no commercial connections though. 12th There is mention of the expected wider range of wireless (RT) flash units, with a 440EX-RT later this year [CR]. I’m presuming that this is the one we heard of in March [29th], although at that time an earlier release was suggested. 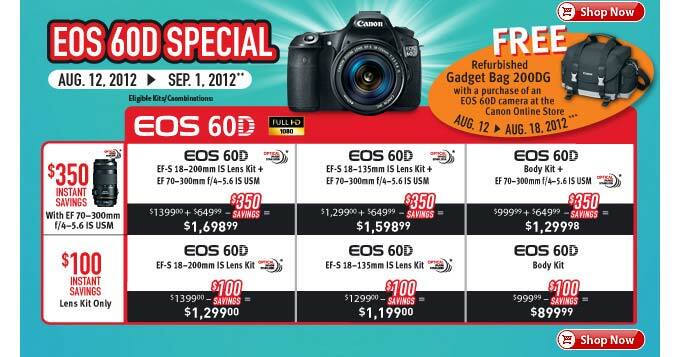 3rd Canon announce the EOS 60Da – a specialised 60D with improved red response for astrophotography. CPN article about using the new Canon radio based flash system. 29th We hear that there will be another new flash announced before too long, to go with the 600EX-RT and ST-E3-RT control unit. Some time ago I heard it mentioned how Canon’s biggest potential competitor in the pro camera market was Sony. After the less than market shaking full frame offerings (A850/900) some wondered where they would go next (ditching the optical VF looks a certainty). Well, Sony is going to launch a business division dedicated to digital imaging [AP]. 26th Most of the new fullframe rumours we’ve had over the past few weeks fall soundly in the ‘I want a Canon D800/wishlist’ category. 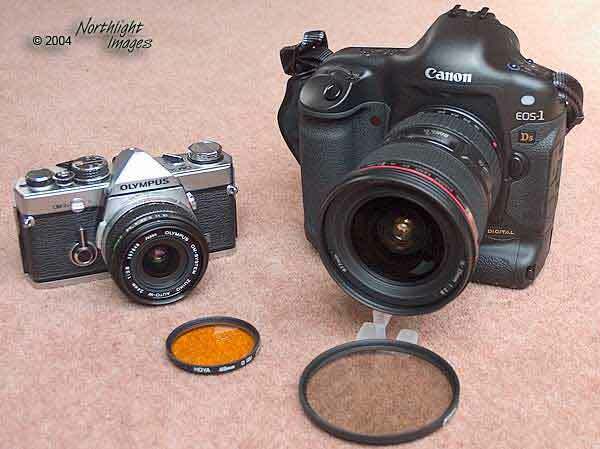 However there are suggestions for a lower MP ‘introductory’ FF camera at CR – time for a 6D perhaps? 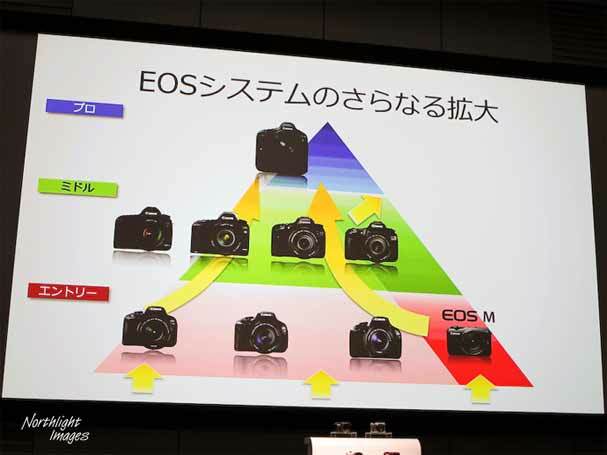 21st In an interesting comment, we hear that after last year’s events in Japan, Canon took the opportunity to completely overhaul its camera (and lens) roadmap. Numerous corporate changes were listed too, but I was asked not to mention specific names. One of the results of this was the decision to hold back on higher MP cameras (that were and are still being tested), and concentrate on other areas of image quality. 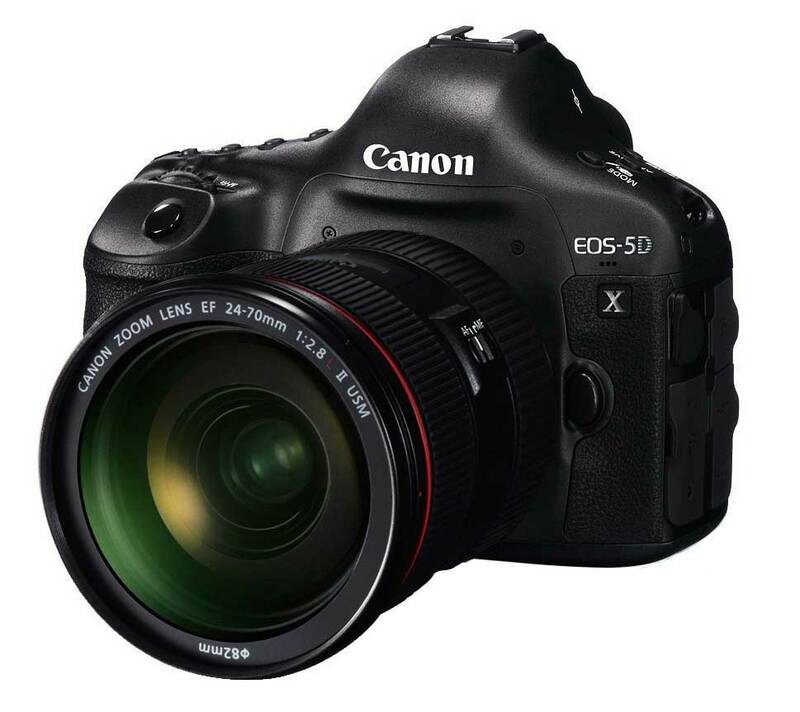 For professional users, this resulted in the 5D3 and 1D X – apparently based on significant feedback from people who use the cameras to earn a living. The message was that these cameras were not (primarily) designed for enthusiasts, but for people choosing them as a tool for work. From a rumours POV, it seems that information control has also been considerably tightened up, since the comments went along with those of several long term sources who had noticed much less casual discussion about what was coming up. 8th What next? The 650D is overdue and there is that Video DSLR that we’ve been told to expect. 2nd 5D3 and a new flash are announced by Canon. 14th Canon publish a guide to camera error messages. Unlike the writer of the IR article, I have yet to be genuinely impressed by an OVF – IMHO they still have quite a way to go before they appear in higher end or ‘Pro’ DSLRs. Back illuminated sensors allow for more effective pixel area and take the necessary connections behind the light sensitive bits. It’s of most use with very small sensors, so of much more relevance (recently) with phones and compact cameras with smaller sensors. Sony in turn have a press release about BSI sensors today [Sony]. These include RGBW pixel arrays, which allow for better low light performance. 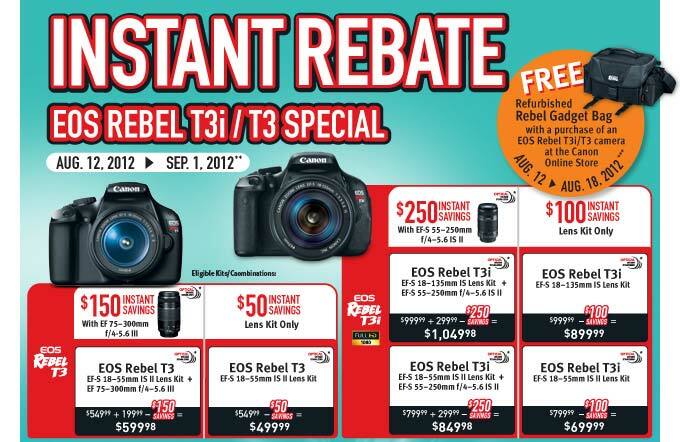 17th The Canon US rebates [details below] have been extended until the 7th of February. 9th With a Canon G1X, it looks like onwards to CP+(9-12 February 2012), for the next set of announcements. 8th There will be a Canon mirrorless this year – We’ve a translation of a Japanese interview about Canon’s plans on the Canon mirrorless rumours page. It also mentions the C300 and the impact of the disasters of 2011.